Why can't Acura make a real flagship? 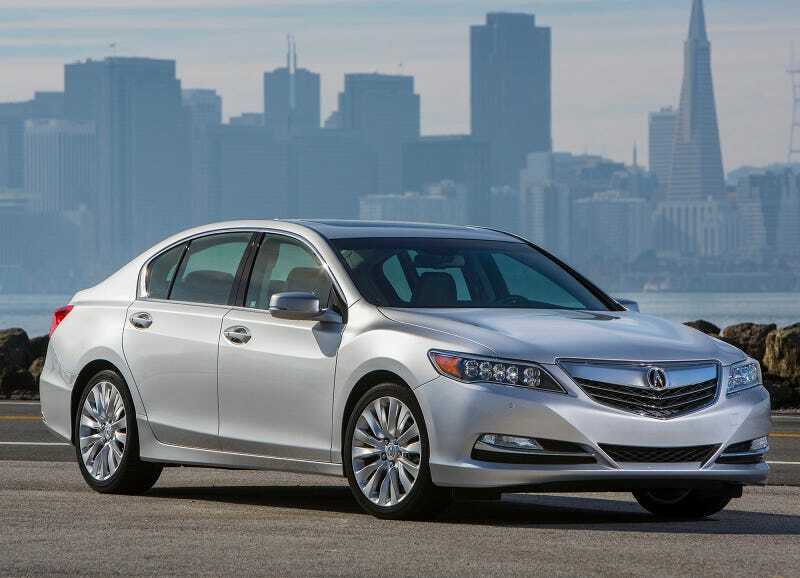 The RLX is supposed to be the Acura flagship. But to many, it’s a fancy Accord. And its sales show. Just look. The ILX and TLX are hits, and the MDX and RDX are knocking it out of the park. And then there’s the RLX with a dismal 239 cars sold in May 2015. Well do you see any difference between the above RLX and this Accord aside from the grille? It’s a lazy attempt to make the Accord look more luxurious. And considering that this Accord is $34k and offers the nearly the same amount of features as that $61k RLX, it’s no wonder why the RLX is a flop.